Have you ever been to a garden center or nursery looking for a native plant, only to be told they don’t carry it. Then you search another nursery, another garden center, and another, and another – in an endless, futile search for a plant that is supposed to be indigenous to your area! If you are shopping for natives, you have likely had this experience. Honey bees (Apis millifera) have become an important part of our agricultural system in the United States – the economic value of honey bee pollination is estimated to be between $10 billion and $15 billion annually. A non-native species, honey bees were first brought to North America in 1622 by colonists who settled the Jamestown colony in Virginia. As we do now, the colonists valued honey bees for pollination services, beeswax, propolis, and of course, honey. I have to give the folks at The Xerces Society a lot of credit. 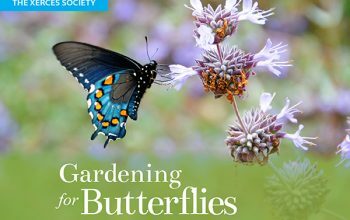 They took the rare step of publishing a book on native pollinators (Attracting Native Pollinators), before coming out with their new book, Gardening for Butterflies. Both are excellent resources and well worth purchasing. Butterflies are far easier to “sell” in our bee-phobic, wasp-phobic, beetle-phobic society. Butterflies are charismatic insects, but often rather inefficient pollinators as they typically have limited contact with pollen…. 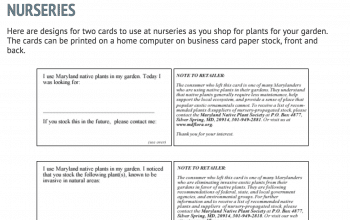 It’s a great time of your to start planning your garden. Make sure to include a “Pollinator Victory Garden” in part of your landscape – a way to help win the war on pollinator decline. 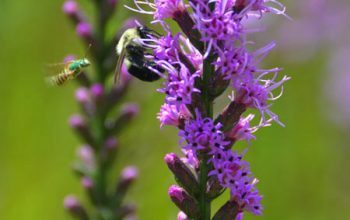 It’s not just about honey bees – we have 4,000 species of native bees in North America, many of which are in real trouble. You can help them by planting the native plants they have evolved with. 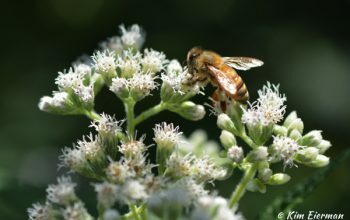 And, many native plants are also useful to honey bees…. The connection between Monarch Butterflies and milkweed plants has practically become common knowledge with the news of the Monarch facing extinction. But did you know how robust a milkweed community really is? 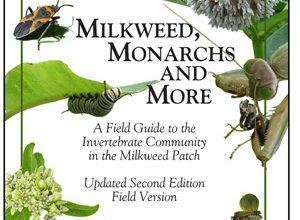 The handy book, Milkweed, Monarchs and More, provides an insider’s view of the numerous invertebrate species that are supported in a patch of milkweed. The trio of authors, Ba Rea, Karen Oberhauser and Michael Quinn, originally penned this small book as a resource for volunteers involved in the Monarch Larva Monitoring Project…. Wooded areas are not only beautiful, but they can be ecological wonderlands filled with life. 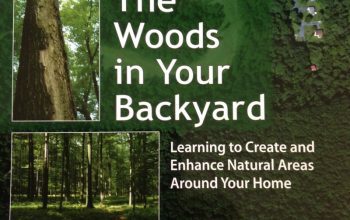 Whether you have a wooded area or want to establish one, pick up a copy of the book: The Woods in Your Backyard: Learning to Create and Enhance Natural Areas Around Your Home. Published by the Natural Resource, Agriculture and Engineering Service (NRAES), this useful guide was written by a talented team led by Jonathan Kays, an Extension Specialist in natural resources from Maryland…. Can’t recall the name of that great tree you just saw at the local nursery? Sounds like you could use a handy tree guide. You are in luck! 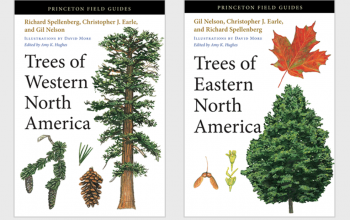 Princeton Field Guides has published a useful duo: Trees of Eastern North America and Trees of Western North America. Both books were written by a trio of authors: Richard Spellenberg, Christopher J. Earle and Gil Nelson. 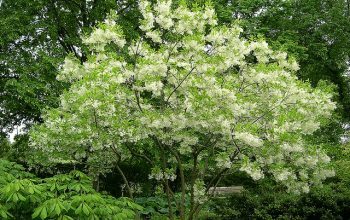 While the emphasis is on trees, a number of shrubs are also included…. Sometimes good things really do come in small packages. 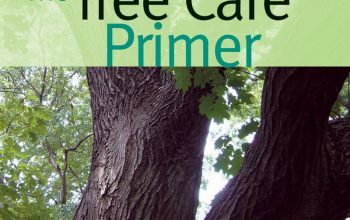 The Tree Care Primer published by Brooklyn Botanic Garden is a little gem about a big topic. Written by Christopher Roddick with Beth Hanson, The Tree Care Primer packs most of what you need to know about tree care into a concise, but highly useful, 118 page package.